The Nixene journal is for anyone who wants to understand the world of graphene and other 2D materials. It aims to reach across disciplines and generate regular, relevant insight derived from research and market developments. It is less about news as this already reported by free sites to a certain extent. These tend to repeat the headlines given to them and generate awareness. We would rather pick up on developments at a monthly frequency and interpret the work in plain English with straightforward graphics. This way you will gain a deeper understanding of the continuing developments and what this means for you. We may have special issues focussing on particular topics, these will driven by the needs of the readership so please give us your feedback. 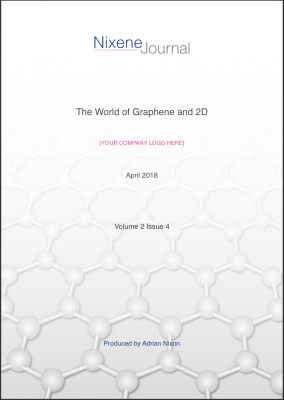 Graphene business people and investors should find this a reliable and informative regular source of insight as this can be tailored to your specific interests. Just contact our team for details.